Awesome gift book. Every FB obsessed user must has this book, just to see how it look when seat in front of computer and just like some freak stare in computer. Hilarious! 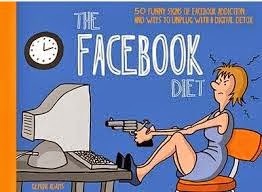 The Facebook Diet is 50 great messages and illustrations which complete the question: “You know you’re a Facebook addict when…” and suggests how to detox the addiction with this Facebook diet. When I read these extraordinary 50 humorous messages I though it’s true and I remember one of my students sad that she just need to open FB home page and do nothing just stare. I said to her that is obsession and must force herself not to do that anymore. FB obsession is true and we all know that and everywhere we read and discussed about that, but The Facebook Diet is one remarkable book, which will brighten you and make you giggle. Illustrations are funny and interesting in compliance with the messages and supplemented them. “Your mom doesn’t shout “Dinners ready” in the direction of your bedroom anymore, she posts it as a comment on your wall. 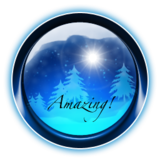 Book is provided by the publisher in exchange for an honest review.Thank you!